Gucci open a permanent installation in the new Haymarket DSM. 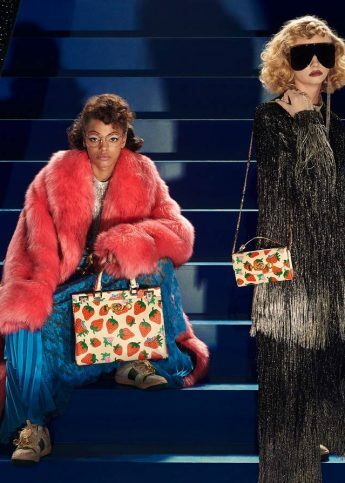 It’s a sure sign of Gucci’s ascendance to the cutting edge of ultra-cool fashion under the creative direction of Alessandro Michele that the brand is announcing the opening of a store-in-store in the newly located Haymarket Dover Street Market London. This incarnation of the collaboration, which began in July 2015 when Gucci opened a space in the Ginza, Tokyo DSM, is a typically atmospheric and immersive take on the Gucci experience: think an installation of 70s pistachio capitonè velvet and a specially customized peacock green carpet so as to display those kooky maximalist SS16 collections all the better. In a word, it’s pure Gucci – and we wouldn’t have it any other way.